President Trump recently became the most prominent alumnus yet of the University of Phoenix. Last week, the widely-reputed online educational institution the University of Phoenix awarded President Donald Trump an honorary Bachelor of Arts degree in Sociology. 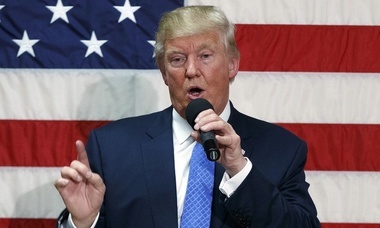 Trump noted that the honorary degree was a smart business move on the part of the online university, triggering a substantial jump in stock value. Indeed, the president went so far as to imply that he himself made a tidy profit as a result, having purchased a large block of shares in the University of Phoenix, Inc., in anticipation of the announcement of his honorary degree. The Dean and Public Relations Manager of the University of Phoenix, Trevor Marlowe, sent out a special email announcement to students announcing the award of the degree to the United States President. In addition, Marlowe stated that the award of the honorary degree has served to skyrocket the online university's SEO. "We pop up everywhere now, in just about every search engine imaginable," he raved. "It's a real win for education." In fact, the honorary degree has proven such a successful marketing tool that Marlowe announced that the University of Phoenix plans to award similar degrees to other prominent government officials like Mike Pence, Barack Obama, and even Bernie Sanders. "We're actually considering awarding Bernie a doctorate," said Marlowe. "He's the real deal."